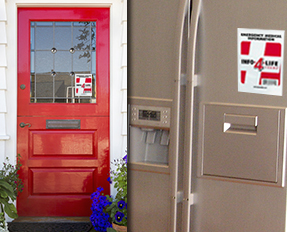 Display your memories with pride in the heart of your home with our refrigerator photo magnet frames. Freez–A–Frames will bring a smile to your face every time you open your refrigerator. Perfect for the home, office, or school lockers, these thin and lightweight frames stick securely to most metal surfaces and are extremely durable. These products are easy to use, as photos easily slide into the clear, protective sleeve for a sleek fit and look. 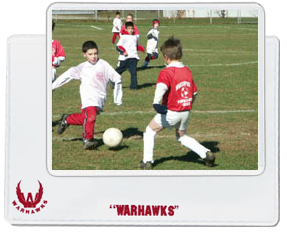 Plus, you can customize them, which makes them perfect favors for events or to give away as promotional items. 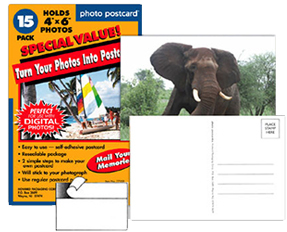 Along with freezer frames, our company also sells Passport Protectors, to keep your passport in good condition while holding important travel documents, Photo Postcards to make your own postcards, Info-4-Life an Emergency Medical Information System. Our products are available now at retailers in your area and online. They are perfect to give as gifts to friends and family or to sell in fundraisers. If you are interested in becoming a distributor or stocking our products in your store, please contact us. In 1995 Freez–A–Frame was founded by Roz and Howie Jacobs. As proud grandparents, they had many photos in acrylic frames on their refrigerator door. When the door closed, the frames would often fall off and crack, or the photos would fall out. They knew there had to be a better way, so they set about creating Freez–A–Frame, a flexible, magnetic photo pocket that has a full magnetic back, making it completely slam-proof. Our flexible magnetic picture frames come in a wide range of sizes. Now, with 14 grandchildren, the Jacobs' refrigerator door looks like a photo gallery and is covered with photos of their family. Order yours today so you too can display photos of your family with pride. Stock your shelves with Freez-A-Frame. We offer a standard range of sizes that your customers will love. Each frame has a magnetic back that will adhere to most refrigerators, school lockers, file cabinets and metal shelving. The slam-proof design means that it will never fall off. 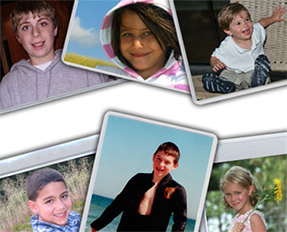 Our photo frames are proudly manufactured in the USA, from non-toxic materials that are safe for children.